Welcome Back to Season 7 Episode 3! I'm super excited to be interviewing Pam for today's episode! Pam started staging around the same time I did and we met through the ASP world in the beginning. Over the years, Pam has been an amazing colleague and supports us every step of the way, including with our EcoJoe products. She is one sharp business lady, which you will hear a lot about her business operations on the show today. Pam also had a radio show interviewing real estate professionals for many years and she is incredibly knowledgeable about the in's and out's of the real estate business. We talked a lot on today's episode about workflow, system building and everything about inventory: how to buy, move, store and keep track of the inventory. I'm incredibly impressed by Pam's business and the scale of operations that she has. Her organization and strong business sense really show through her interviews. What I really love about Pam is that she knows her numbers extremely well. This is very, very important. As business owners, you have to understand and check how the numbers are working in your business to determine how healthy your business is financially and on the operational side as well. And what's most impressive and very difficult and rare to accomplish is that she was able to create an in-house system for inventory organization, which is now public to the world as The Staging Assistant. Pam started her staging business in 2007, when many of those in the real estate industry were closing due to the state of the market. Pam leveraged her eye for design, marketing background and real estate investing experience, to help fellow investors sell their properties at top dollar. Pam has grown her business from a single storage unit and rented truck, to a premier staging company staffed with talented designers that stage over 300 homes a year. Staging for Charisma's homes are under contract in 7 days or less and for thousands over asking price. Pam is well known as an expert in the Seattle area staging community; hosting her own radio show for 7 years and as a featured columnist for the local REAPS (Real Estate Professionals of Puget Sound) newsletter. 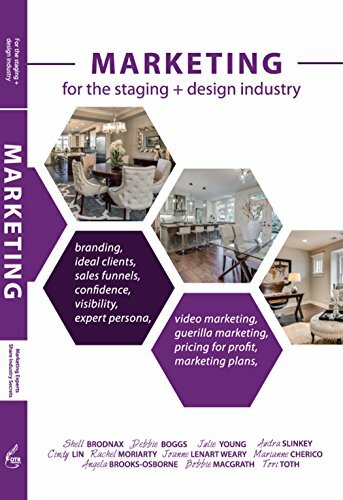 As a speaker, trainer and mentor to stagers and REALTORS in the Puget Sound area, Pam is committed to the continuing improvement of the home staging industry. How did you become a home stager? What is the real estate market like in your market? What does your volume look like a year? Why is home staging so important in today’s marketplace? Should homeowners stager their houses themselves? Why or why not? How do you define a staging that is successful and on point? If the agents or the homeowners are having difficulties to accept home staging as part of the strategy in selling the house, how do you communicate the values and benefits of home staging? What are some of the things new home stagers should expect when they first starting out in the business? How about once they’ve established themselves, what are some of the things they need to look out for? What are some of the biggest lessons you’ve learned through interviewing other real estate professionals on the radio for the past 7 years? And have any of your guys shared any major blunders when it comes to selling real estate? What can homeowners or real estate agents do to avoid these blunders? One of the biggest things about doing vacant home projects is inventory. Can you talk about your process of buying and acquiring inventory? What kind of inventory do you buy and how do you decide how much to spend and where to buy? How about maintaining inventory? How much maintenance do you do on your inventory? How do you track your inventory? I get this question a lot and my answer is usually my brain because we had a very lean business model. It wasn’t like we had a large team where I have 10 stagers on staff and they all needed to pull inventory. We’ve tried barcode systems, excel spreadsheet, and various professional inventory systems and we just felt the learning curve and stress just didn’t justify the investment. 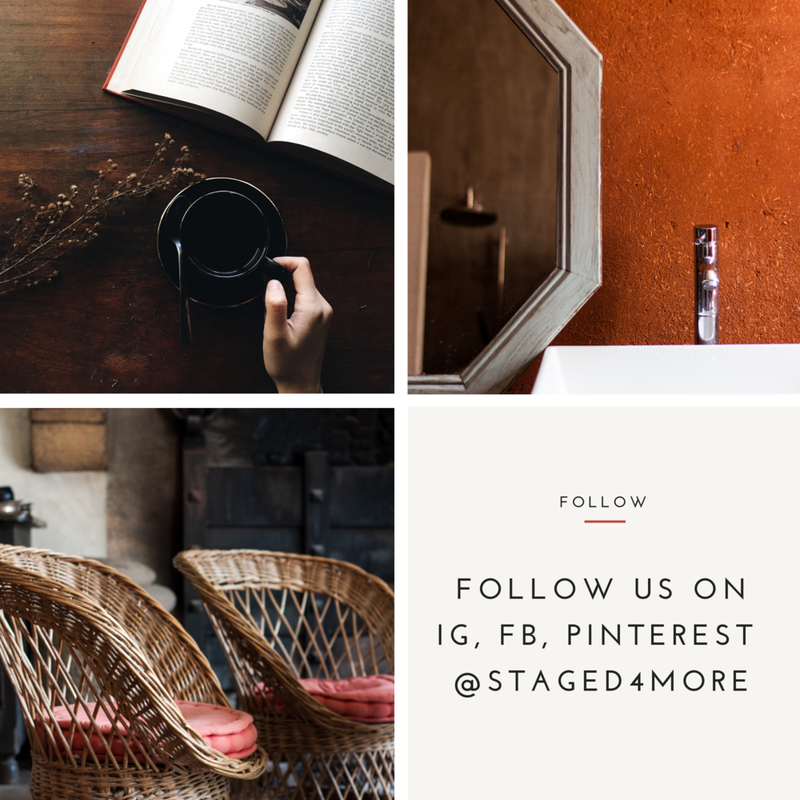 I know you have a very sizable staging business, so how do you track your inventory? Who moves your inventory for you? Is it in-house movers or a third party mover? And how did you find reliable movers? What does your workflow look like for a staging project? And I know that you have started your own company that specializes in workflow management and inventory tracking system. Can you talk about why and what made you started this new venture? I’m a huge fan of workflow management because it basically sets up a system of a framework and increases productivity and efficiencies. And if you have people you’re working with, it also keeps communication in one place and clear. I personally use 17hats, Asana and Trello. What does your workflow management system look like? What are some of the advantages of an inventory tracking system? In your opinion, what attributed to your success as a home stager? A last, 2-part question for you: What is the one top tip you will give to stagers when it comes to starting out in the staging industry? How about someone who started for awhile, like couple years in and, is growing the business?